Mup lives with her Mam, toddler Tipper, dog Badger and Mam’s aunt, Aunty deep in a forest. But Aunty is very ill and the world is changing. Mup first notices the raggedy witches on their return from visiting Aunty in hospital. 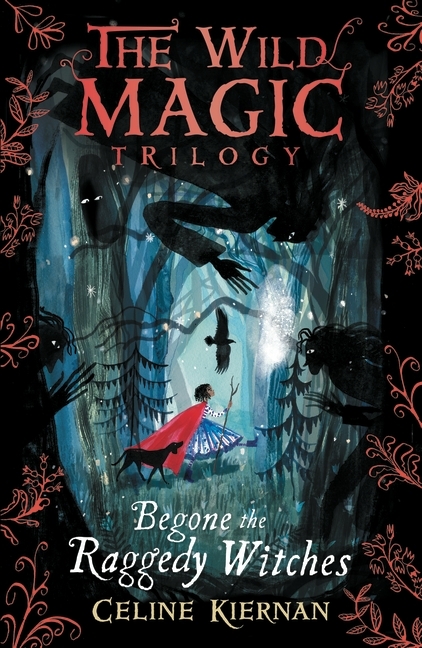 In quick succession, Aunty dies, Mup’s dad is kidnapped and Mup discovers a whole magical world and her family’s connection to it. To save Dad, the whole family journeys into a world both familiar and very strange, full of magical creatures and people. In a race against time, Mup is drawn inexorably to the castle of the tyrannical Queen and the raggedy witches who do her bidding. At stake is the survival not only of her family but the whole magical Queendom. ‘The Wild Magic 1: Begone the Raggedy Witches’ begins in a contemporary rural setting, in a forest with many shadows before the adventure and mystery crosses into a magical almost-medieval world. Mup is delightful, at once grounded in reality and accepting of the existence of magic. She has the wonder of a child and a wisdom older than time. She has to navigate not only this new world, but the effect it has on all the members of her family. ‘Begone the Raggedy Witches’ is a compelling and fantastical quest novel, the first in a trilogy sure to engage mid-primary and beyond readers. It is funny and surprising and full of wonder.